VodaHost offers businesses a fast and easy way to create a mobile website specific to their business needs to grow traffic, convert leads and grow revenue. As more and more people are shifting from PC based browsing to mobile platforms, if your business does not have a mobile website, it will surely be left behind. The global shift towards mobile device is getting stronger by the day. 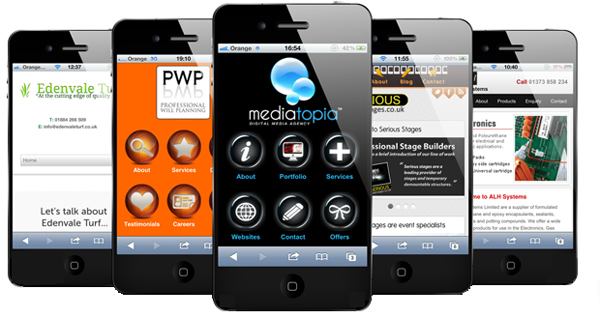 Get your website on smart phones and tablets today! 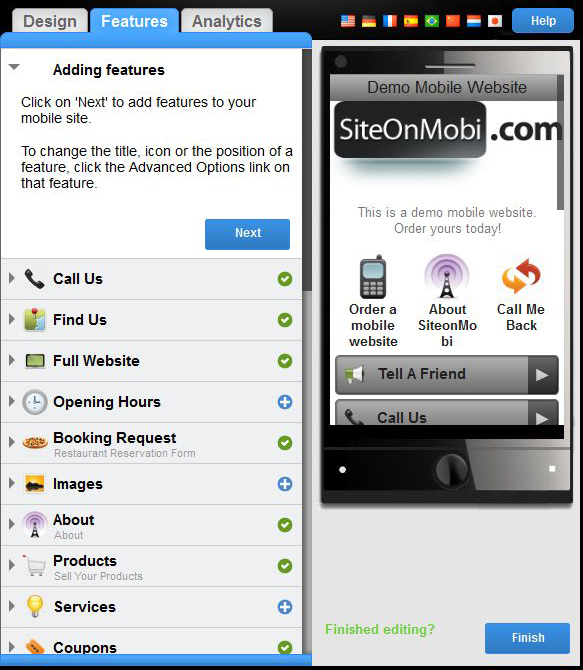 Let your customers contact you instantly from anywhere within your mobile website with one click. Create a mobile shopping cart that will enable your customers to make purchase directly from their phone. 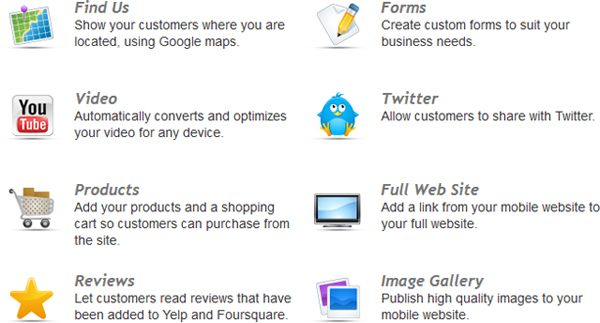 Let your visitors share your website content directly with all their facebook friends and Twitter followers. Customers can find your business with one click on Google maps and directions including time and distance – Multiple locations supported. Create custom forms in seconds to suit the specific needs of your business, or use one of our ready-made one click templates. Allow your customers to set appoint and make reservations quickly and conveniently directly from your mobile website. Generate QR Codes with one click and allow your customers a quick entry point to any page on your mobile website. Your mobile website will look amazing on hundreds of different mobile devices from smartphones to tablets regardless of brand, screen size or resolution. Click below to Start your 30 day free “No Obligation” test drive of our amazing mobile website builder, afterwards it’s only $6.95 per month.